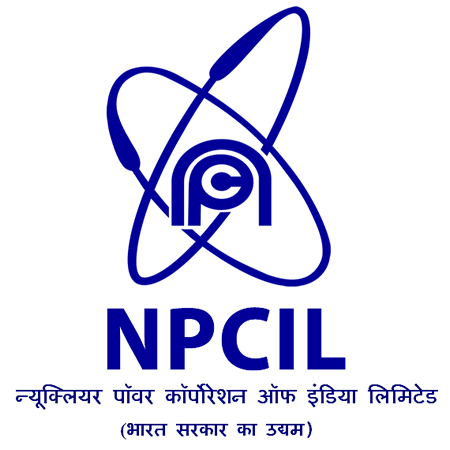 NPCIL Recruitment 2018 - Apply Online for Sub Officer, Leading Fireman & DPOF Posts in Department of Atomic Energy, NPCIL, Uttar Pradesh on Contract Basis. Online Applications are invited by Nuclear Power Corporation of India Ltd. (NPCIL) from 18 Oct 2018 to 12 Nov 2018 for 6 vacancies. NPCIL Recruitment 2018 - Apply Online for 22 Asst Gr & Stenographers Posts in NPCIL, Uttar Pradesh on Contract Basis. Online Applications are invited by Nuclear Power Corporation of India Ltd. (NPCIL) from 18 Oct 2018 to 12 Nov 2018 05:00 PM for 22 vacancies. NPCIL Recruitment 2018 - Apply Online for 88 Stipendiary Trainees/ Scientific Assistants Posts in NPCIL, Uttar Pradesh on Contract Basis. Online Applications are invited by Nuclear Power Corporation of India Ltd. (NPCIL) from 18 Oct 2018 to 12 Nov 2018 05:00 PM for 88 vacancies. NPCIL Recruitment 2018 - Apply Online for 122 Stipendiary Trainee Posts in NPCIL, Rajasthan. Online Applications are invited by Nuclear Power Corporation of India Ltd. (NPCIL) from 15 Oct 2018 10:00 AM to 14 Nov 2018 05:00 PM for 122 vacancies. NPCIL Recruitment 2018 - Apply Online for 27 Assistant, Steno & Other Posts in NPCIL, Haryana on Contract Basis. Online Applications are invited by Nuclear Power Corporation of India Ltd. (NPCIL) from 10 Sep 2018 at 10:00 AM to 30 Sep 2018 till 04:00 PM for 27 vacancies. NPCIL Recruitment 2018 - Job notification for 32 Trade Apprentice Posts in Department of Atomic Energy, NPCIL, Kalpakkam, Tamilnadu. Applications are invited by Nuclear Power Corporation of India Ltd. (NPCIL) on or before 16 Aug 2018 for 32 vacancies. NPCIL Recruitment 2018 - Apply Online for 69 Steno, Assistant & Other Posts in Department of Atomic Energy, NPCIL, Rajasthan on Contract Basis. Online Applications are invited by Nuclear Power Corporation of India Ltd. (NPCIL) from 25 Apr 2018 to 24 May 2018 for 69 vacancies. NPCIL Recruitment 2018 - Job notification for 179 Technician & Scientific Assistant Posts in Department of Atomic Energy, NPCIL, Tamil Nadu. Applications are invited by KKNPP (Kudankulam Nuclear Power Project) on or before 21 May 2018 for 179 vacancies.